Women and men with a mutation in one of their chromosomes can have a higher risk of cancer. This article explains this a little more about a less common gene mutation PALB2. Mutation - what exactly is it? 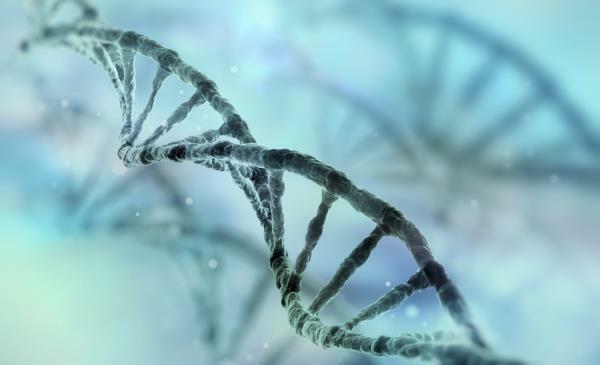 Most people know about BRCA1 and BRCA2 and the increased risk of breast cancer that comes with their presence, but since 2014, another mutation PALB2 has been linked with an increased risk of breast cancer too. Having a ’mutation’ means that there is a fundamental flaw in the genetic coding sequence of your DNA. This may be caused by problems occurring in the copying process when cells divide, or by damage. Both are incredibly rare. In these cases of mutation - which are present in total in less than 7% of the population - the ’damage’ has been passed down in families through heredity. BReast CAncer 1 and BReast CAncer 2 are not just linked to breast cancer, but to other cancers like ovarian and prostate cancer. So, the affect both women and men. This is because, for example, BRCA1 is a tumour suppressor gene. It combines with other suppressors and DNA damage sensors to form a rapid response repair unit to repair damaged DNA. It was thought the DNA sequence refered to the immune system. If the DNA cannot be repaired the cell is killed off. If there is damage in this unit, the DNA cannot be repaired and a rogue cell occurs. There is a higher incidence on BRCA1 in women with Triple Negative Breast Cancer (TNBC). Much the same happens with BRCA2. PALB2 is a ‘partner’ gene to BRCA2. They each make a protein and those two combine to repair damaged DNA. BRCA2 is involved in both breast and ovarian cancers. The current lifetime risk of developing breast cancer is 12% But women with a BRCA 1 gene have a 50-70% risk; and with BRCA2 it is 40-60%. According to a study (Breast cancer risk in families with mutations in PALB2) in the August 7th 2014 edition of the New England Journal of Medicine, women with a PALB2 gene have a 14% chance of developing breast cancer by age 50 and 35% by age 70.